SDN, NFV and SD-WAN are creating a new set of software-based offerings that managed network service providers can roll out to enterprises faster and at lower cost. a new technology base that service providers offering managed network services can build upon for their customers. The result is software-defined managed network services. make the consumption of services simpler and cheaper. The key shift from traditional managed network service providers is removing the dependency on specialized capital equipment each time new services are added and, instead, using virtual network functions (VNFs) in a network functions virtualization (NFV) framework. Whether in the carrier cloud or at the enterprise edge, removing the need to deploy new hardware to offer new services, or to scale up existing ones, is crucial. It puts the development of services on a software timeline, which is faster and cheaper. It also scales services on commodity x86 infrastructure, which is also faster and cheaper. Customer premises equipment (CPE) plays a key role, reinvented as a consolidated x86 appliance shared by multiple VNFs. With a universal virtual CPE device in place, deploying a new service to a site is a matter of pushing down the VNF and upgrading a service's features. Universal CPEs don't have unlimited capacity, of course, so they can't run everything; but now, the mix of services they offer is determined by software alone. In an NFV and VNF environment, new services can be rolled out, from core to CPE, in hours or days rather than weeks or months. This makes for a lower barrier to entry both for the managed network service providers and the enterprise. For the carrier, it is far simpler to deliver a new service to some or all locations. For the customer, it is far simpler to try in a limited subset of locations before they buy. Also, it's easier for the customer to deploy a service temporarily -- for example, to support merging the WANs of acquired companies or to spin off the WANs of divested ones. VNFs are the workhorses of the software-defined managed network services environment, providing the network functions previously delivered as specialized hardware -- specifically; routing; firewall; data loss prevention; load balancing; WAN optimization; and, crucially these days, software-defined WAN (SD-WAN). One of the big benefits of rolling out SD-WAN has been making the WAN simpler to manage by setting up policies based on applications or services and their specific needs to manage the whole physical WAN at once. So why would someone want a managed SD-WAN at all, let alone one built on an NFV and VNF framework? Isn't SD-WAN supposed to collapse the branch stack all by itself? In an NFV and VNF environment, new services can be rolled out, core to CPE, in hours or days rather than weeks or months. Enterprises often neglect at least one problem in their strategizing that makes a managed SD-WAN attractive. It is rooted in different threads of the SD-WAN story: the ability to aggregate links from diverse carriers into a single WAN. This ability provides IT buyers with more choices than ever in how they provision connectivity into a branch, paving the way to connectivity that is redundant, resilient and affordable in more locations than ever before. But empowering IT to make use of many ISPs and connectivity providers in pursuit of savings and agility can leave IT with many of both. Managing them -- both at the business level and at the technical level -- has its own associated costs. Managing a handful of companies is probably doable for anyone, but managing dozens is far less so. So for a true software-defined managed network services offering, providers should offer an ISP aggregation and management service, too. For it to be truly dynamic, flexible, simpler and cheaper, they need to fold it into their broader NFV environment because it can't stand alone outside. Big carriers like AT&T and Verizon are in the early days of developing and rolling out their software-defined managed network services offerings. Other managed network service providers like Masergy are further along, as they had already deployed an NFV-style consolidated customer-premises appliance and a management portal to control it. Other carriers like CenturyLink and Comcast, and network-as-a-service providers like TeloIP and Aryaka, are also moving fast in this direction or using an existing NFV model for a broader service portfolio. 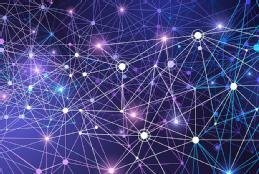 Enterprises reimagining their WANs, including those considering SD-WAN specifically, should be paying attention to their managed network service provider partners' movement toward software-defined managed network services and, as always, balancing the benefits of offloading management against the costs, but greater control, of do-it-yourself solutions. In addition to managing multiple service provider connections, what do you consider the benefits of SD-MNS? As more managed networking services derived from virtual, software-based technologies hit the market from providers large and small, enterprises need to weigh new considerations. SDN, NFV and VNF: Don't get bogged down with these hot-topic terms. In part one of this series, IT expert Andrew Froehlich discusses how and whether you should implement virtualized functions in your enterprise. Software-defined networking security has both good and bad potential. It can benefit route connectivity, but it also presents risk linked to improper SDN controller implementation.